Provide comfort for the family of Virginia Gauthier with a meaningful gesture of sympathy. 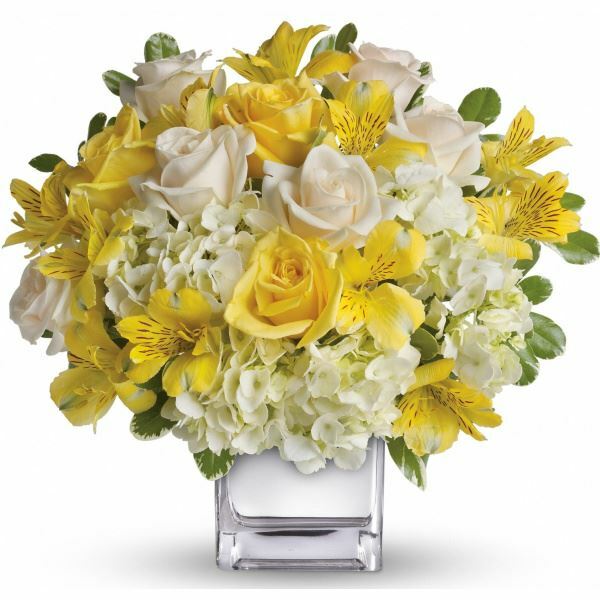 To send flowers in memory of Virginia Gauthier (Blaedow), please visit our Heartfelt Sympathies Store. Members of Cathedral CWL will meet for prayers at the Funeral Home Thursday at 3:00 p.m.
With Love Heather Giroux sent flowers to the family of Virginia Gauthier (Blaedow). So very sorry to hear of dear Virginia's passing. Virginia was such an important part of our family for many years back in the 90's when she looked after my husband Milton. We both adored her and she was so dedicated to her job. She was kind,caring with a little touch of wit that she often used with Milt.I did not know she was unwell and feel very sad that her life was way to short. She was also so kind and loving to me (the Caregiver for many years) we shared many wonderful chats. My sincere sympathy to all of you. Sent with love and remembrance, I will never forget YOU, my very dear friend & Aunt. With Love Heather Giroux purchased flowers for the family of Virginia Gauthier.